The Ibanez Tube Screamer has long been the name people think of first with overdrive pedals, and TSA tube amps come with the legendary Tube Screamer circuit built in. Each cabinet is designed to match the TSA amp featuring the popular CELESTION(R) speakers. The TSA amps can create natural clean sounds, fat crunch tones, and even warm smooth overdrive tones with the modified TS9 circuit built right into the amp. You can enjoy the warm and familiar over drive sound of the Tube Screamer any time you want. Tuning the boost switch on increase gain by 6db. This function gives players a thicker Tubscreamer sound. TSA15H and TSA15 are able to switch between 15W mode and 5W mode by using the switch located on the back of the amp. 5W mode is designed for those quieter playing situations like practice or home recording, when you require less volume but still desire plenty to warm Tube Screamer tone. You can control BOOST/NORMAL and TUBESCREAMER ON/OFF with the footswitch (sold separately). A variety of outputs allows connection with most types of speaker cabinets. Enjoy the full-tube tone of the TSA with your favorite cabinet. 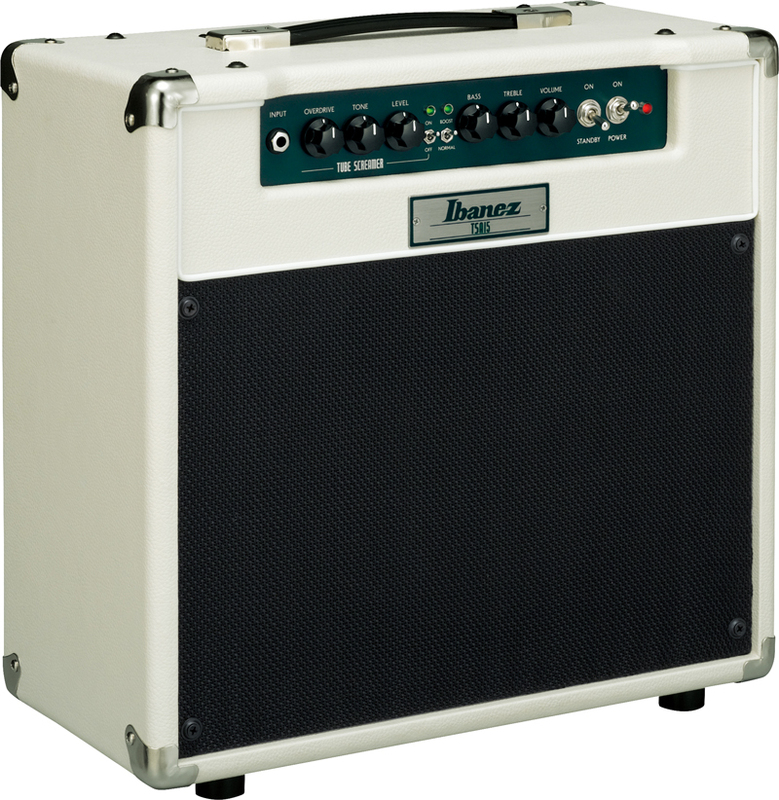 For all styles of music from jazz, pop, blues, classic rock, to metal, brands like Ibanez, Hughes and Kettner, Engl, Hiwatt, and Ashton provide the sound, quality and tone you’re looking for in a guitar combo. For home, stage, or studio. Valve or solid state.